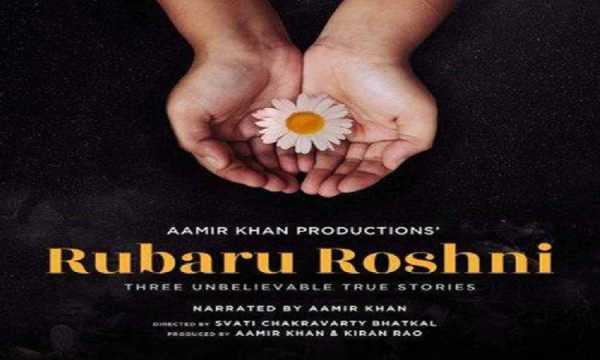 Aamir Khan's latest production, Rubaru Roshni, a documentary that does not feel like one, succeeded in touching the audience’s heart when it was premiered on the Star TV network on Republic Day, 26 January. The theory of forgiving someone who has given you maximum grief stood out in the Svati Chakravarty Bhatkal directorial, which is now available for viewing on the OTT platform Hotstar. How did Rubaru Roshni happen and how did you react to the script? There is no script to it. Svati told me this is her idea. She wants to make a film on forgiveness. And she wants to take true stories which demonstrate the idea. She told me the three stories which she had already followed in the newspapers. She had not started her research or met them. When I heard that I felt this is a very important concept. I felt that in life as human beings, not just in India but anywhere in the world, we have forgotten the power of forgiveness. And we have forgotten how healing forgiveness can be. Our shastras and the wise people who came before us and different religions have told this. But we have forgotten it. We have ignored this huge power. I felt that very strongly and I felt it is very important for us to talk about it, so that it comes back into the mainstream and into people’s consciousness. One has to realize why am I giving someone trouble because of one thing. If I forgive, I will be the first to heal. You can never go to the past and rectify something that has happened. If this glass falls because of me, I won’t be able to rewind it. Either I can be angry about it forever or I just grieve for some time and move on. The past is not in our hands, but the future is. I have realized that Jainism is having a deep impact on me. It has some amazing thoughts — forgiveness, non-violence, only use what you really need and anekantvad. It means if somebody has a totally opposing view to yours and you are fully convinced in your view, you should still keep a window open thinking the other person might be right. Also to recognize that he or she has a right to opposing thoughts. How did the title Rubaru Roshni come about? Actually there is a poem by Rumi, from which we got the English title, When The Light Comes In, from his line, ‘The wound is where the light enters’. We were very happy with that thought. It means when you get enlightened. When we were thinking of its Hindi title, I thought of Rubaru Roshni. It means when you come face-to-face with light. It’s a slightly different meaning, yet quite similar. Would you think of making a feature film on this documentary? I think now we have made it. I actually always hesitate to do the same thing again. And this is also like a [feature] film. How much creative input was there from your side? These are true stories, so I don’t have any contribution in the scripting because there is no script. But when I saw the cut, I had some suggestions on the cut. Other than that, not much. Since how long have you known Svati? Svati knows me since 1984. She is married to Satya [director Satyajit Bhatkal]. Satya and I were in school together. When Reena, my first wife, and I got married, we married secretly. We had three witnesses for that civil marriage. One was Satya, the second was Svati and the third was Anand, Satya’s cousin. My marriage with Reena was the most economical marriage. It took me 50 paise to go to Bandra station on the 211 route bus. I then went to Bandra east on the [railway foot] overbridge. I went to the Griha Nirman Bhavan, where there is the office of marriage registrar. So, my marriage cost less than Rs10. Nobody knew; only five people were there. Oh, that’s a very long story. You will get to see it when my biopic is made (laughs). Have you ever held grudges against anyone? I remember I had fought with Juhi [Chawla]. For seven years I didn’t talk to her. We fought during the making of Ishq (1997) and I was so upset. It was a petty issue. [But] I wouldn't even sit near her on the sets. If she sat near me, I would go and sit far away. I wouldn't even say hello and bye. I only used to speak to her during shots for professional reasons. At that time I wasn't meeting anyone. I used to stay alone. She came to meet me and inquired about our decision. I told her the reasons. But I was happy that she had reached out to me. Though we were not talking, we were still very fond of each other. In my time of trouble she immediately came to me. She knew I won’t pick up the phone. Still she tried. And I also felt I should reciprocate. Talking about forgiveness, have you forgiven Victor [director Vijay Krishna Acharya] for Thugs Of Hindostan? (Laughs) I don’t think I need to forgive him. I feel all directors with whom I work are good and their intentions are good, too. We all want to make a good film. Sometimes it doesn’t happen. Filmmaking is difficult. I am a team player. So, if my director has gone wrong, I have too. I don’t mind failing with my director on his or her instinct. But you took full responsibility for the film’s failure. See, because the audience has come on my name, na? So that is my responsibility towards the audience. To that audience I feel personally and fully responsible. Don’t you think the movie got more bashing than it deserved? I have met a lot of people who have told me they liked the film. I don’t judge these things. I think an audience has the right to say exactly what it wants. They can be harsh in their criticism. I believe that is their right. And I haven’t given a flop for a long time. So it is good that people got a chance of venting it out (laughs). Will you continue to skip award shows? I felt I lost that value for film awards. I also believe it is lovely to have an evening where all creative communities come together and celebrate one another’s work. I understand it is their emotion which is very beautiful. I would like to be a part of that emotion. At times there would be some strange person on the jury who had no idea about filmmaking. Is that person going to judge if I am a good actor? What is the value in that? If Dilip Kumar tells me I am a good actor, I would stand up. Or if Raj Kapoor or Lata Mangeshkar say that, I have value for that. 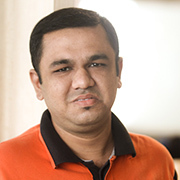 Will we see you produce a feature film for Svati Chakravarty Bhatkal? I would love that. We haven’t planned anything yet, but I would love that. I think Svati is a very sensitive person and she will be a very good director. This film was, of course, not fiction. It was a true story. But I think she will do even fiction quite well.